ADOPTION ALERT!! 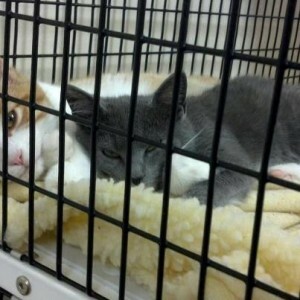 Brad & Buddy(Buster) at Pet Supermarket in Burlington have been adopted. They were adopted together and will share a home. Congrats boys! New cats arrive every week. so stop in and see them. Please support Pet Supermarket while you’re there. They are good friends to the animals, taking complete care of them while they are there.